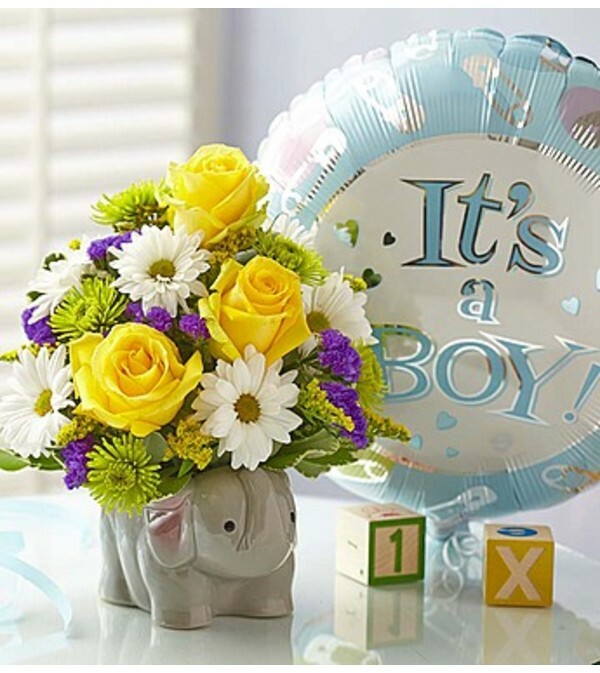 Welcome a sweet baby boy with this unique arrangement, featuring yellow roses, white daisy poms and more. The vibrant blooms rise out of a ceramic elephant container with its trunk upturned for good luck. Best of all, this special keepsake can later be used to decorate the nursery.